The Amsterdam Fashion Academy is recognised as an official partner with the reputable Buckinghamshire New University in England. Therefore, it is the first school in the Netherlands to offer University awarded British Bachelor’s (Honours) Degree programmes. All three fashion programmes are validated by Bucks New University with the opportunity to study and receive an internationally recognised degree at the private international fashion academy in Amsterdam. A British Bachelor Honours degree is one of the most widely established and recognised degrees worldwide. The perfect base for an international career in fashion is at the Amsterdam Fashion Academy. Paying a high level of personal attention to student-centred learning with a focus on graduate employability. Students will enrol at Bucks New University and at the Amsterdam Fashion Academy, which will give students access to many facilities. The degrees are aligned with the UK Quality Assurance Agency (QAA) standards. With a highly qualified and experienced team, the Amsterdam Fashion Academy offers a unique studying experience to international students. A graduate of the Amsterdam Fashion Academy is recognised internationally. 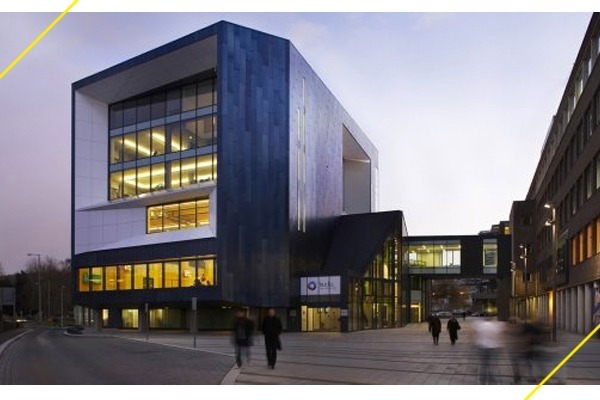 The University has a state-of-the-art building in High Wycombe, known as the Gateway. Which comprises a learning resource and technology centre, gym, sports science laboratory, dance, music and video production studios and library. It also offers a growing provision of student accommodation in High Wycombe; and a thriving base for nursing students and applied healthcare research in Uxbridge, West London. Its alumni include television star Noel Fielding and London 2012 Paralympic and Olympic medallists Naomi Riches and Chloe Rogers. It has bestowed honorary degrees on well-known figures including Fern Britton, Terry Wogan and England Rugby World Cup winner Lawrence Dallaglio.